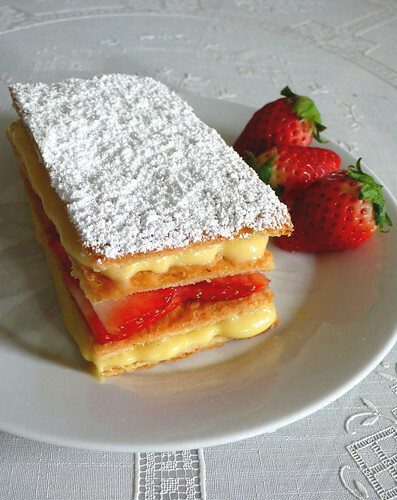 per miss deborah's request: a strawberry napoleon, made with puff pastry, a grand marnier-laced vanilla bean pastry cream, and sliced fresh strawberry. adapted from yet another ludo lefebvre recipe. the most noteworthy thing about it was the absolute ease of making this, as almost everything must be done well in advance, and each component (while time consuming) is pretty easy to make. the second most noteworthy thing: it was the first time i had made puff pastry. huzzah! another thing to cross off my list! and--i am so not pulling your leg, your finger, your nothin' on this--it was insanely not difficult to do at all. i'm not saying i did a stellar job on the matter (will i ever get the hang of rolling dough out evenly? maybe there are speed bumps on my table), but even a 50% effort yields a pastry that is 150% better than your average supermarket puff pastry dough. i always thought the puff was difficult as when i'd use the frozen stuff, it would shrink too much, be too greasy, and brown unevenly; this worked like it should. anyway, i reckon that once i get the hang of it, it deserves a post of its own. the pastry cream was one of the easiest pastry cream recipes i've tried, and one of the tastiest. chef lefebvre's version included whole vanilla beans and a generous glug of bourbon--i doubled the vanilla and substituted orange-flavoured liqueur for the bourbon. this was a little runnier than i had hoped (i blame the booze), so i'll either cut down on the amount of booze, or cook the pastry cream a little longer for a firmer product. napoleons have never been my favourite because usually the pastry is a little stale, or the pastry cream too sweet; also, arrgh, no matter how genteel you are, they are very messy to eat. this one was as fresh as it was going to get, with delicate, flaky pastry, a lightly sweetened, flavoured cream, and of course, the bounty of perfectly ripe strawberries. and yes, still a freakin' mess to eat. 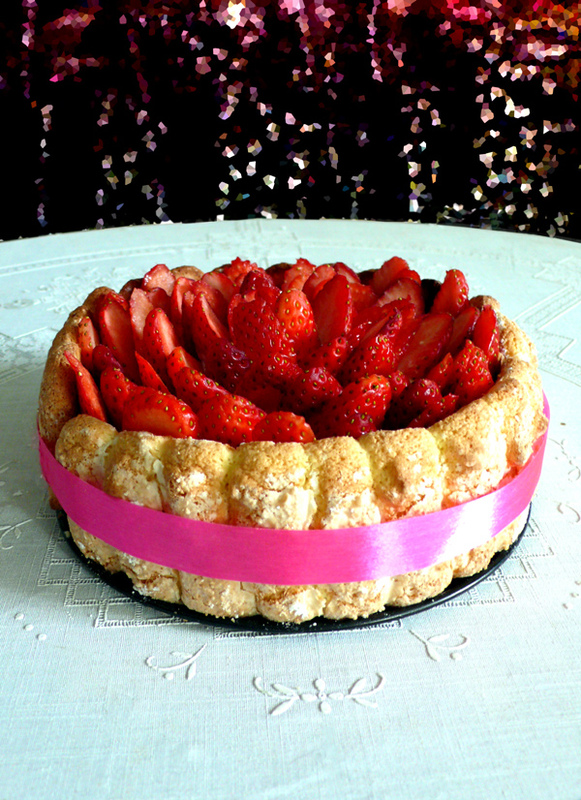 and miss susan's suggestion: a strawberry charlotte, a delightful name for a cake if there ever was one. this one was made with a base and white picket fence of ladyfingers/savoiardi, filled with an amaretto-laced bavarian cream and topped with fruit. another first, making those ladyfingers, which are cookies made with a sponge cake batter, often in the shape of fat...fingers. ladyfingers! seriously, i'm built like a peasant, but even my manhands are more delicate than this. however, the cake seems not to be the least bit bothered, with billowy clouds of silky cream and vibrant berries all wrapped up in a fluffy pink-sashed party dress. again, the ladyfinger recipe from pierre herme was actually not difficult, and yes, my 50% maxim still applies. a little more practice, and maybe i can get those stubby fingers to look a lot more ladylike. i love the first photo in susan's post, it makes me hungry everytime i see it. 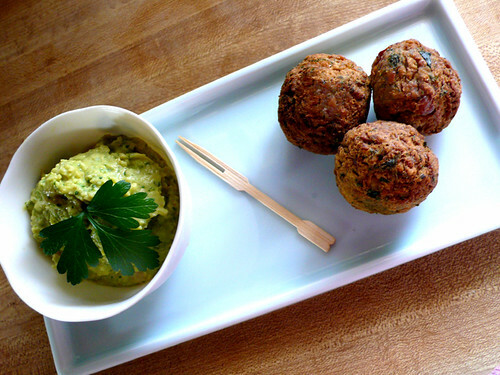 falafel, a sort of middle eastern ground chickpea or fava bean non-meat meatball, is one of those things that is relatively easy to make, but something i don't think about doing. there seems to be endless variations on the basic recipe, but i tend to like ones that are a little crunchy on the outside, creamy and a little spicy on the inside. like susan, i used an epicurious recipe, but adapted it slightly so there would be a little more flavour and maybe cook up a little quicker, as i had intended on grilling them as small patties. you know, like healthy? harrrrgh. about two seconds after pulling the grill out, i changed my mind and decided to fry them after all. the result was a zingy little number that was lightly crunchy on the outside, creamy on the inside. they fried up super-fast, so they did not become oily or greasy, so i don't feel so bad about not grilling them. the extra spices and herbs meant that these falafel were actually quite tasty on their own--so much so they never made it to their pita sandwich destination. 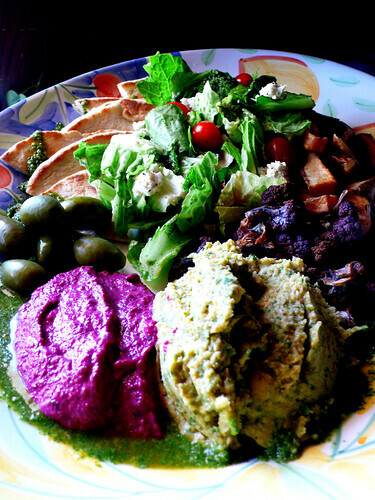 the hummus (hummous, houmous, who? moose?) is another adaptation of a recipe from "a year in my kitchen" by skye gyngell (like the beetroot purée). in fact, the spices and herbs are almost identical to the beet recipe, but with chickpeas as a base, the texture and flavour are still quite different. 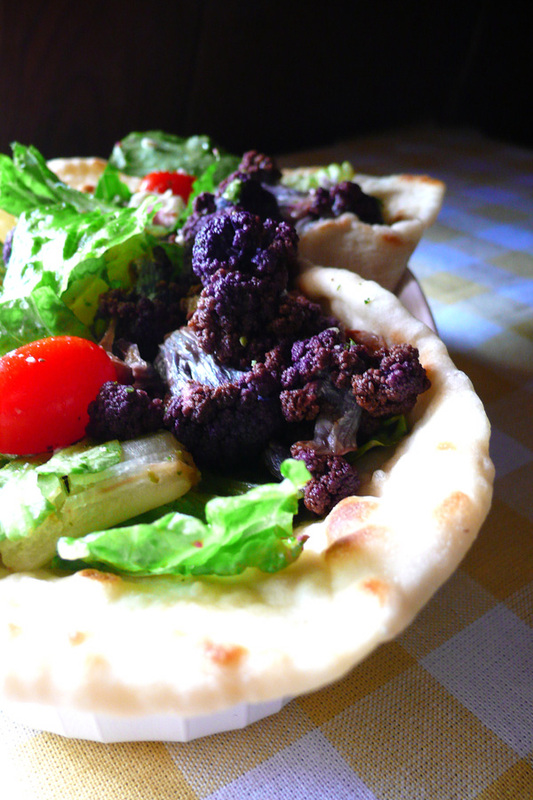 my version also has almost the same ingredients as the falafel recipe, so frankly, they aren't really that much different from each other (hey, i see my cartoon's backstory shaping up!). they are okay paired together, but as they taste nearly the same, you'll probably want to add other contrasting and complementing flavours and textures to the plate. ms. gyngell does not like to refer to this as hummus as it has so much more flavour; i absolutely agree, but 'hummus' sounds sooo much better than 'chickpea paste', so perhaps i'll just leave it as that. 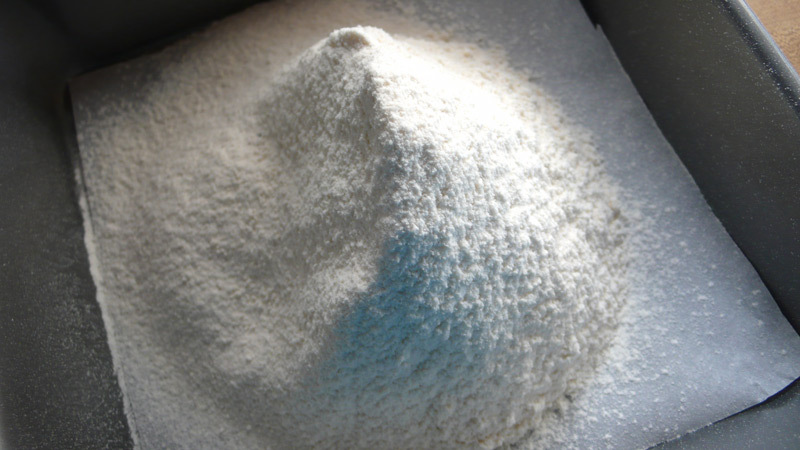 dump all the ingredients except the baking powder and flour into a food processor. process until blended, but still somewhat chunky. sprinkle in the baking powder and 4 tablespoons of flour then pulse. check to see if the mixture holds together but isn't too sticky--if it's still sticky, add more flour. transfer to an airtight container, and refrigerate overnight. form the mixture into small semi-compact balls; i use a 2 oz. cookie scoop. heat about 2-3 inches of oil to 375 degrees in a pot, fry a ball to test. add a little flour if the ball falls apart. fry 4-6 balls at once for a couple of minutes on each side, or until golden brown. dump everything into a food processor or blender, process until relatively smooth (a few chunks are nice). adjust seasoning, add salt and pepper to taste. beetroot purée, adapted from one of my favourite cookbooks, "a year in my kitchen" by skye gyngell. i've been trying to eat a lot more veggies, and one of my favourites is roasted beets, which are sweet, somewhat corn-y tasting, and just a gorgeous violent deep shade of purply red. all you need to do to roast them is to scrub 'em down, chuck them into a pan, drizzle some olive oil on top, cover with foil and bake them in a preheated 400˚F for about 45 minutes to an hour, until they can be pierced with a knife. i usually just eat them peeled, with a little salt and pepper, but sometimes when i've got a few left over, i play around with gyngell's recipe for a puréed spread/dip, flavoured with garlic, olive oil, fragrant spices, and tons of green herbs. the effect is not unlike a über-hummus, all sweet, silky yet spicy and just a little rough--a nice addition to any mezze plate, a vivid side dish, or even just an eye-opening spread on toast. i don't know what it is that makes people dislike beets, but maybe this recipe will change some people's mind. add the beets, garlic, herbs, spices, and olive oil in a food processor or blender. pulse/blend until a smoothly puréed. add greek yogurt if you want a super smoothy, then add balsamic vinegar and salt to taste. place a frying pan over low heat. once a clear smoke rises from the pan, add spices. stir frequently, being careful not to let them burn. when the seeds begin to pop, take them off the heat, and grind to a fine powder in a spice mill or mortar and pestle. 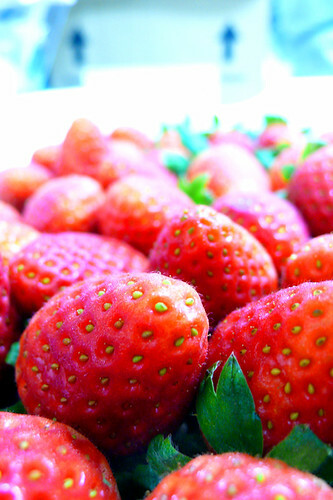 s just brought over a case of super-sweet strawberries from korea, about 4 pounds' worth. any baking/dessert requests? 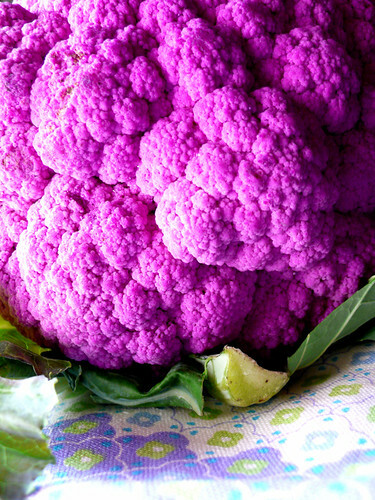 purple cauliflower, which gets its lovely colour from the presence of anthocyanin, which is also responsible for the colour in red cabbage, red wine, apples, and the distinctive deep loveliness of blood oranges. when deep-fried, the colour changes to a gorgeous bluey-purple, not unlike dame elizabeth taylor's eyes. 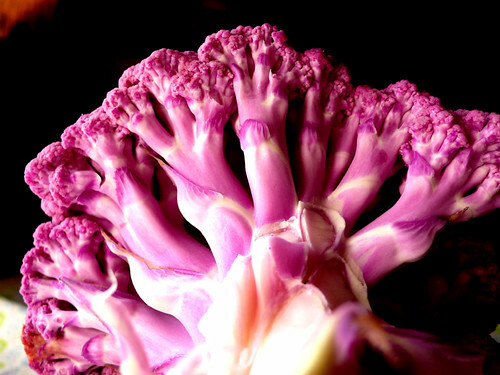 the flavour of the cauliflower becomes quite sweet and nutty. also like i imagine the ex-mrs. fortensky to be. not to taste. makes a great sandwich. i'm sure the ex-mrs. hilton wilding todd fisher burton burton warner has a cook or chef who does, too. even though i'm still writing out my list, i may have actually completed one of the 101 things i hope to have done in 1001 days. whoo! one of my favourite cakes is a chocolate cake sold in a gas station in manila; those of you there surely know which one i mean, polly's chocolate cake, made by polly garilao. 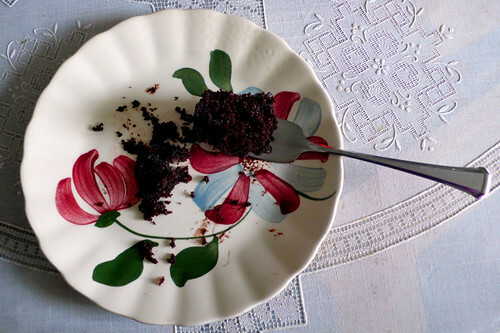 it is dark, supermoist, chocolatey, with a pudding-like just-on-the-edge-of-too-sweet chocolate frosting; it is not a fancy cake, it's quite homey and old-fashioned, and frighteningly easy to eat. i don't really seek it out when i'm in manila because although it is a substantial 8"x8" (or so) cake, it doesn't exactly feed eight, like it should--it's more like three to four people if you're lucky, or two people hovering over the plain brown box....cake crack, i tell you. also, finding somewhere that sells it can be a chore--the only regular source (besides ms. garilao herself, of course) seems to be the shell gas station in magallanes and it's not particularly easy to transport, especially via transpacific flights. i have about three dress sizes' worth of reasons not to look for a similar recipe, but look i did, and it was surprisingly easy to find a pretty darned close equivalent to it. i wanted a recipe with ingredients that were easy enough to come by in the philippines, low on dairy products, and somewhat older (christine mentioned she grew up eating them). i looked for traditional, quick recipes that used vegetable oil or shortening, and cocoa instead of chocolate. i tried out a few, but surprisingly the recipe that got the right colour, texture, moistness and flavour was one that i found in regan daley's "in the sweet kitchen"--a bit of a fancy-schmantzy book, but the recipe itself was passed down from her mother, and there are many variations of it around the interwebs. i had my doubts at first because she described it as chewy, and someone else called it as dense; i don't know if those are two adjectives i would use for the polly cake. still, she said it was the one cake she really craved, the one she could polish off in one sitting. hm. i knew that feeling, so the recipe looked good enough to try. 1. sift 1 1/2 cups of AP flour into an ungreased, unfloured 8"x 8" pan. 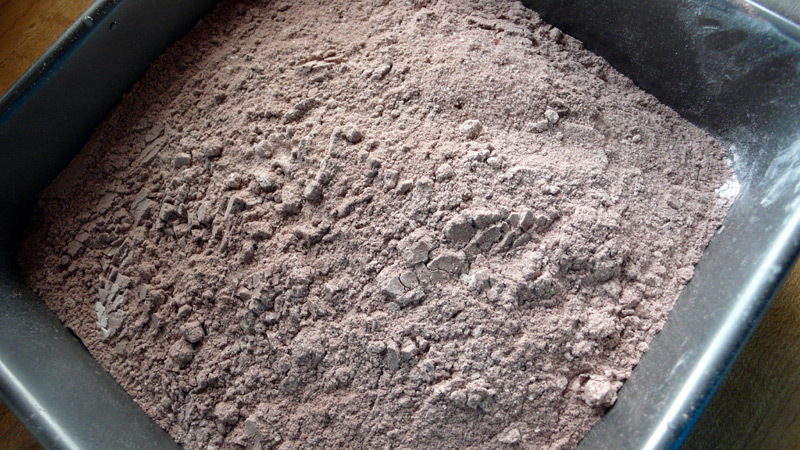 2. in a separate bowl, mix 1/4 cup unsweetened cocoa powder, 1 cup white granulated sugar, one teaspoonful of baking soda, and 1/2 teaspoonful of salt. add to pan, and mix carefully with flour. 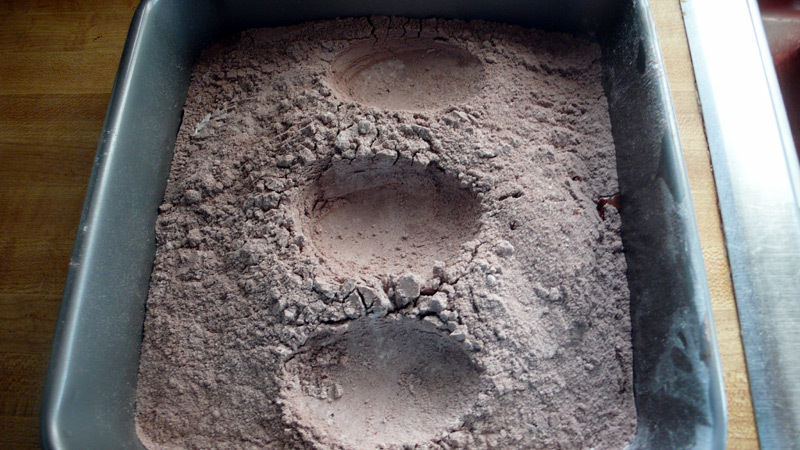 3. make 3 indentations in the flour mixture--2 small and one large. 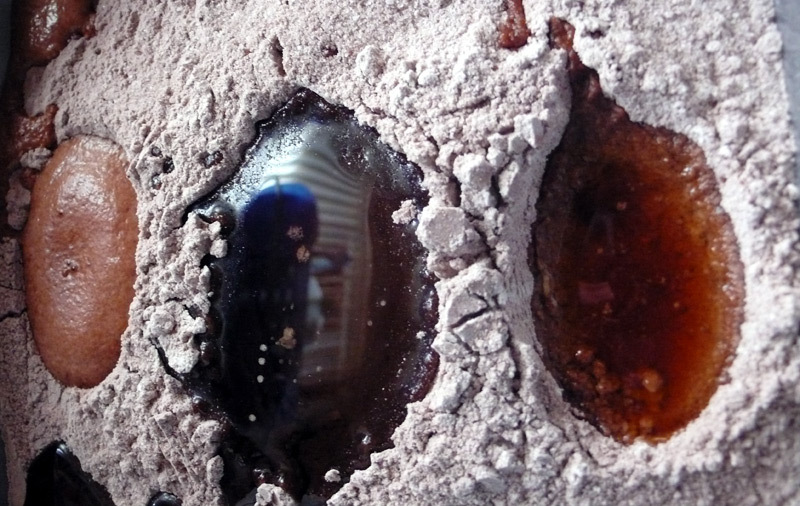 4. add one teaspoonful of vanilla extract to one of the small holes, one tablespoonful of white vinegar to the the other, and 6 tablespoonfuls of vegetable oil to the large one. pour one cup of cool water over everything and mix well, without beating it (a few lumps are okay). 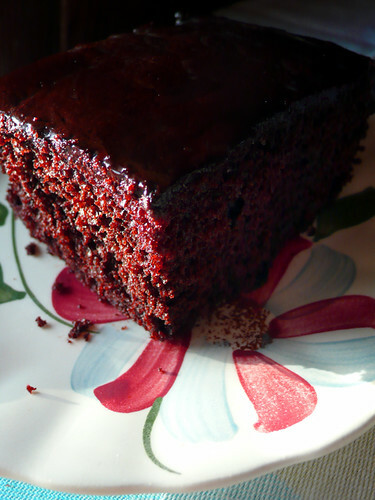 5. bake in a preheated 350˚F oven for 30 minutes, or until a toothpick inserted in the cake comes out relatively clean. cool before frosting. some notes: make sure to use natural cocoa, absolutely not dutch-processed if you want that deep, dark colour; hershey's or ghirardelli brand is what ms. daley recommends, but i've been using valrhona because...well, why not? (edit:as manggy points out in the comments valrhona cocoa is dutch processed, which i've neglected to mention. technically, a dutch-processed cocoa is milder flavourwise, but valrhona uses a superior bean than most brands. also, technically you should adjust the leavener because of the alkali content, but as i haven't tried this cake with natural process cocoa, i can't say if it's truly a detriment.) i also prefer to bake this cake at 335˚F for 35-40 minutes. this all-in-one recipe is for a cake that will be served in the pan; if you'd like a more elegant presentation, line the pan with parchment before adding all the ingredients. or, dare to mix the batter in a bowl first (whoo). also, if you want to go with a more polly-like frosting, don't do the cocoa buttercream in the link; instead, make a ganache with semi-sweet chocolate chips and heavy cream, then pour it over the cake. if you have access to it, buy semi-sweet chocolate (chips or by the block) made in the philippines by nova; it's only about 300p a kilo (about us$7), and spot on for the consistency of miss p's frosting. so there, lil' keikis, i hope i have saved some of you some money, effort and grief. and no matter what your verdict may be, maybe this will become a staple of your sweet kitchen. probably not the most auspicious post to ring in the new year of food blogging, considering i'm trying to lose weight/eat healthier, but cheeeese, look at it. 'tis beaaaaauuuuutiful, no? 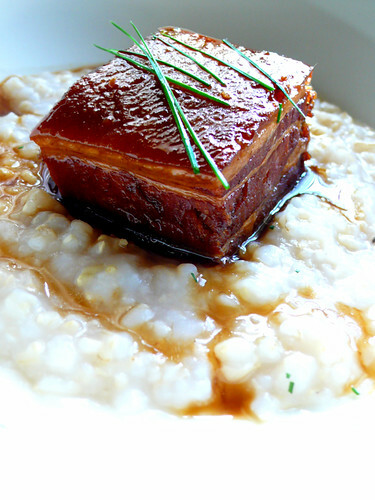 buta no kakuni, pork belly braised in sake and a little bit of soy sauce, flavoured with just a tiny bit of sugar and star anise, served on brown rice congee infused with spring onion oil and flavoured with a bit of dried scallop. this was modified from a recipe by masaharu morimoto from his book, "morimoto: the new art of japanese cooking." someone rather kindly mailed a copy of the book to me and like, a whole lot of other bloggers. i generally say no to the freebies because i know i'll never review them, but i heart the morimoto-san, and at the time i was broke and thought i was saving up for something, so why not? but now i'm not saving, still broke, still no review. sorry dk books person! i officially cannot be trusted with your merchandise. however, the book is lovely and i've cooked a bunch of deelish things from it. this was actually one of the last recipes i thought i'd cook from the book, but when i saw maki's lovely more traditional version of the pork dish, i really wanted to try it. she and kirk both explain there are chinese cuisine connections to the dish, as does humba, the filipino version of this dish. i haven't had humba in awhile, but i always remembered my family's version to be flavoured with star anise and ginger; morimoto-san's recipe calls for neither, but the thing i love the most about the pork is that hint of spiciness, especially from the anise, so i added two whole star anise to the final braising liquid. also, i used brown rice in morimoto-san's congee recipe instead of the usual white; the result was more texture and flavour to play against the dried scallop and spring onion oil. this recipe is not difficult at all, but some of the ingredients can be tricky to find, and it requires a good amount of time and patience. there is an initial eight hour simmer which renders out the majority of fat from the pork, then an overnight chilling before returning it to simmer in braising liquids for an additional 2 hours. if you do the first part in a slow cooker, then chuck it in the fridge whilst at work or asleep, it's actually quite uncomplicated. the melt-in-your mouth texture and exquisite flavours make it worth the work. funnily enough, this was the first recipe that aun and s from the wonderful chubby hubby decided to try. they've already proclaimed the recipe a favourite, so maybe you will too. well, maybe not so much a new kitchen as *another* one. 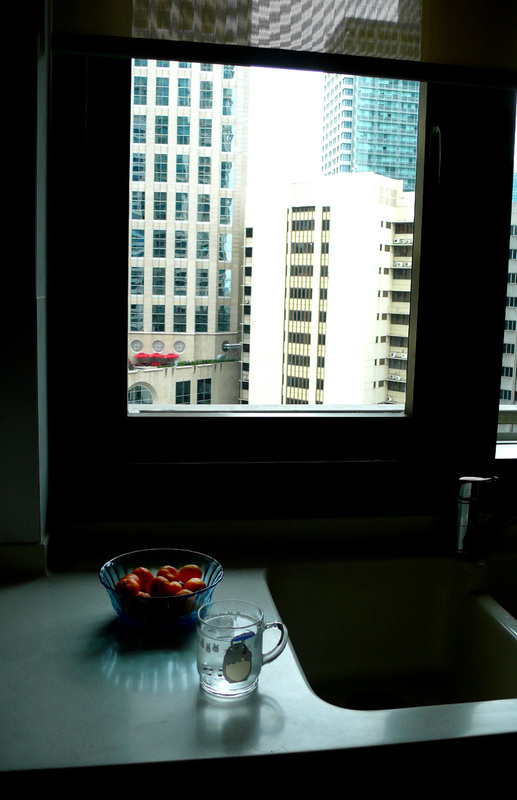 i've moved to a decidedly more urban dwelling when in manila, with a clean and cozy kitchen. does this mean i'll actually do some city cooking in 2008?! you and totoro will just have to stay tuned.